Update: The SO-VIDA Container Sleeve is now available for other water bath containers including the: Rubbermaid, Cambro, and Lipavi. I used the Sleeve for several cooks, and also ran a detailed heating and power consumption benchmark test on it. Below are my thoughts on both the positives and negatives of the SO-VIDA Sleeve. The Sleeve's construction is high quality. All of the seams are nicely finished and appeared to be quite strong. The Sleeve also fits snugly around the Rubbermaid container, never sliding down the sides. In my opinion, the greatest advantage of the SO-VIDA Sous Vide Container Sleeve is its esthetic appeal. This feature will be most important to those of us who leave our circulator and water bath setup all the time and ready to go. It simply adds a little more "class" to the kitchen. The blue piping adds just enough contrast to convey a classy image, while at the same time provides a good-looking finished edge around the top and handle openings. Since many circulators have black on them, they match nicely with the black color of the Sleeve. The "SO>VIDA" logo is reasonably understated. Since I don't empty my water bath after each cook, occasionally it gets looking a little less than "pristine". So having a cover and the Sleeve on the water bath is a definite improvement to the ambience of my kitchen! As mentioned above, I ran a detailed heating and power consumption test and the Sleeve did reduce the amount of power consumed during our benchmark cook by approximately 25%. There are two factors to keep in mind, however, associated with this advantage. The benchmark pretty much represents the maximum power savings you might experience and it shows a savings of a little more than 1 kWh. Shorter cooks at lower temperatures will have much smaller power savings. And in general, sous vide cooking is relatively low powered. Moreover, the average cost per kilowatt-hour in the US is about $0.12, so don't expect the Sleeve to pay for itself anytime soon. The presence of the Sleeve does decrease the amount of time it requires the water bath to reach the target temperature. But as you can see from the heating and power consumption test, the decrease is in the order of 1 to 3 minutes, depending upon the lid that was in place. On those days where you are in a rush, this difference might be important to you, but typically it's not a huge deal. This advantage depends heavily on what you have your water bath sitting on. There are certainly some work surfaces, especially those with laminated wood, that could degrade over time due to exposure to lengthy periods of high temperatures and many manufactures suggest not sous viding directly on marble or Corian countertops. In those cases this could be an important advantage provided by the Sleeve. SO-VIDA provides a Risk-Free Satisfaction Guarantee on the Sleeve. So if it looks interesting to you I would recommend giving it a try to see how it works and looks in your kitchen. Since the review rating on Amazon is currently 4.8 stars on 69 customer reviews, I'm guessing the vast majority of folks are happy with their purchase. Clearly there are other ways that we can achieve the same advantages that the Sleeve provides. In some cases they are less expensive and more effective as well. For example, simply using towels to insulate the water bath you can provide even better insulation. Unfortunately, as you can see from the picture, this approach does not have the aesthetic appeal of the Sleeve. Perhaps it's just me, but especially when I am doing a long cook, I have the habit of glancing into the water bath occasionally as I walk past it. This just assures me that the protein being cooked is still completely under water and that the water level is sufficient. This is more difficult to do with the Sleeve in place, but I have found it just takes another few seconds to pull the Sleeve down a few inches to peek inside. 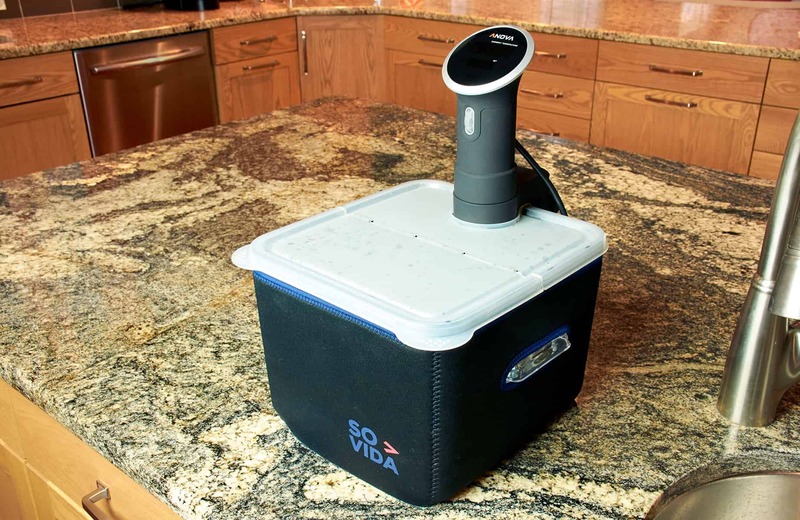 The SO-VIDA Sous Vide Container Sleeve is a unique and useful accessory for your Rubbermaid 12-Quart water bath container. The presence of the Sleeve on the water bath does reduce the amount of power required, especially on a long and high temperature cook. It also decreases the amount of time it takes to get the bath to the target temperature. However, the impact is relatively small when the entire cook is taken into account. 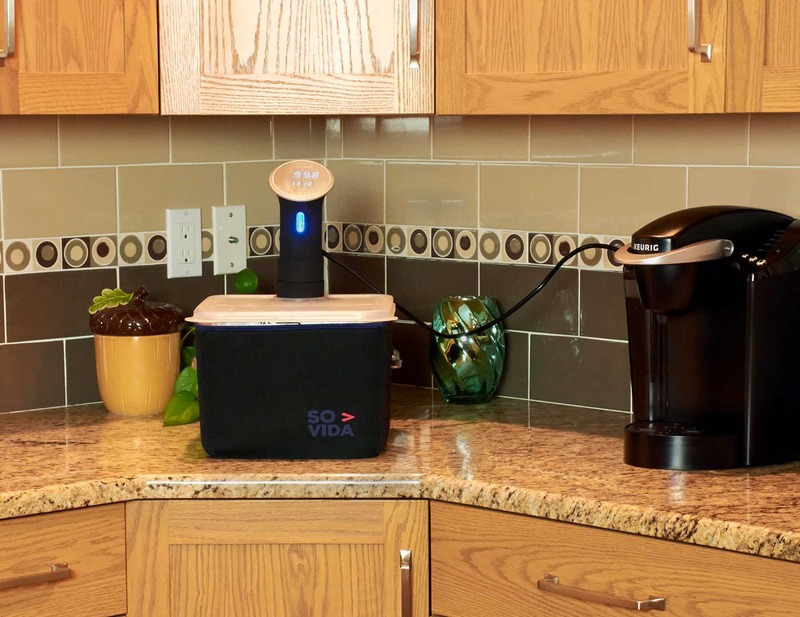 So for me the major benefit of the SO-VIDA Sleeve is the impact it has on the aesthetics of the water bath in the kitchen. If you're like most cooking enthusiasts, when you have friends in for an amazing meal you also want your kitchen to look impressive. The SO-VIDA Sleeve will definitely help you accomplish that goal - but I'm afraid you will still have to wash those dirty dishes in the sink! 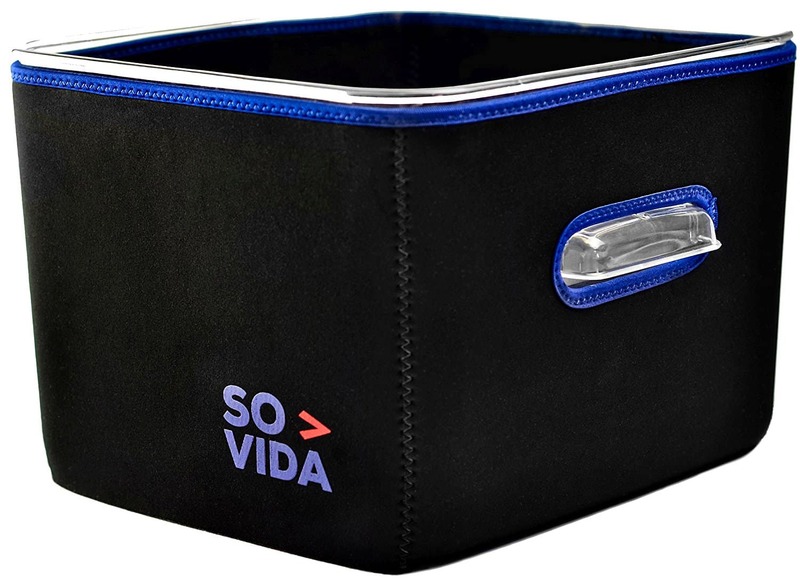 If the SO-VIDA Sleeve sounds like something you would like, you can get one on Amazon now for Rubbermaid, Cambro, or Lipavi containers. 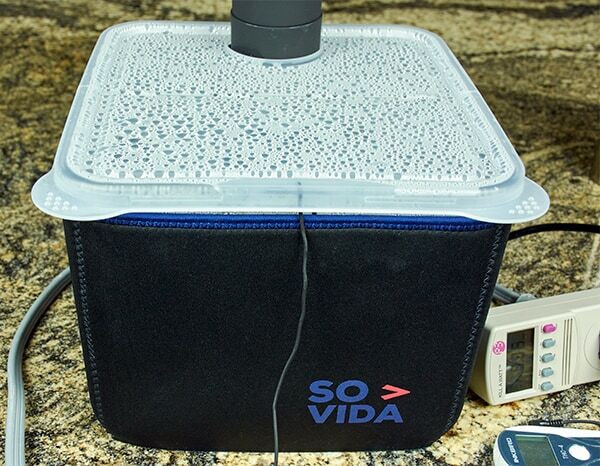 If you have experience with the SO-VIDA Sous Vide Container Sleeve, I would appreciate you sharing it in the comments below. Thanks.